One of the major advantages Android offers over iOS is the flexibility and freedom to customize your homescreen to suit your taste. 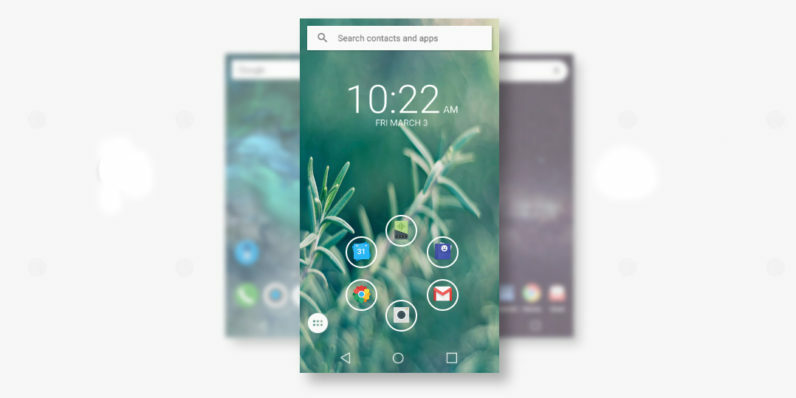 While iOS only lets you set wallpapers and stuff apps into folders, Android additionally lets you place interactive widgets, use a custom launcher and overhaul the look of all your icons with just a few taps. I’m something of a compulsive homescreen tweaker myself. Google is finally turning the spotlight on Android’s flexible interface with its new Taste Test microsite, which recommends homescreen setups that you can enjoy on your own device, based on your design preferences. Once you’ve answered a few questions about what you like in a homescreen, (you’ll be asked to choose between minimalism or maximalism, color palettes, and setups geared for music or news, for example), it’ll generate a bunch of interfaces and explain how you can recreate that on your own device by downloading the requisite wallpaper apps, launchers, widgets and icon packs. It works pretty well: the few times I tried it, Taste Test actually came up with a few setups I liked and surfaced third-party icon packs and launchers I hadn’t previously tried. The only bummer is that it only seems to work in certain geographies. The site didn’t load properly for me in India until I relaunched it with a VPN set to reroute my connection through the US. Of course, Google will naturally want to sell you on its own creations, so expect to see suggestions to install Gboard and the voice search widget. But other than that, it’s a great way to get started with customizing your homescreen for a fresh look and enhanced functionality.